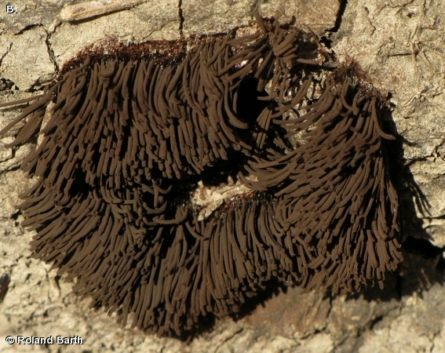 Chocolate tube slime resembles brown hairs growing on wood. 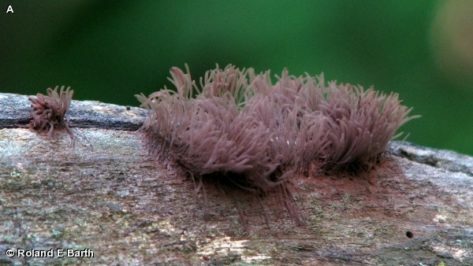 These slime molds are very thin (1/8 of an inch wide and up to 1 inch tall. The brownish, rounded top portions of the slime (sporangia) are supported by narrow, black stalks. It is found clustered on dead wood and leaves, May through October. 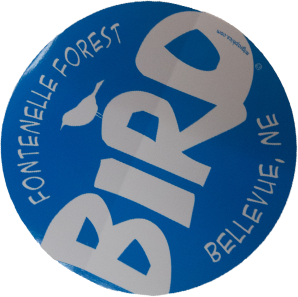 It is uncommonly found on the floodplains at Fontenelle Forest. 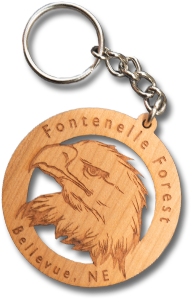 Disclaimer: The content of NatureSearch is provided by dedicated volunteer Naturalists of Fontenelle Nature Association who strive to provide the most accurate information available. Contributors of the images retain their copyrights. The point of contact for this page is: Eric Scholar.